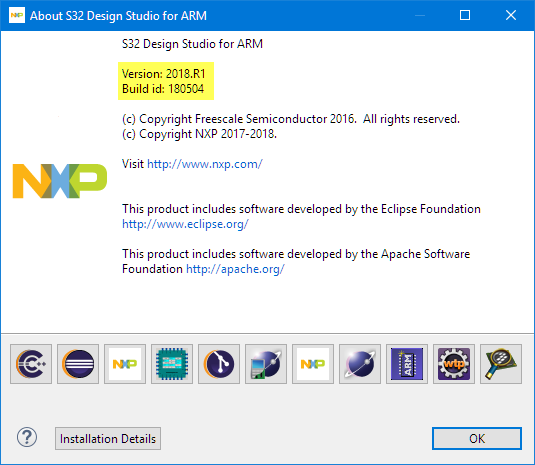 This entry was posted in ARM, CPU's, Debugging, Eclipse, Embedded, NXP, S32, S32 Design Studio, S32DS and tagged ARM, Debug View, Debugging, Eclipse, FreeRTOS, J-Link, NXP, Segger, technology, Thread Awareness, Threads, Tips&Tricks by Erich Styger. Bookmark the permalink. Does this work for KDS (3.2) also? Yes, this is even simpler in KDS. 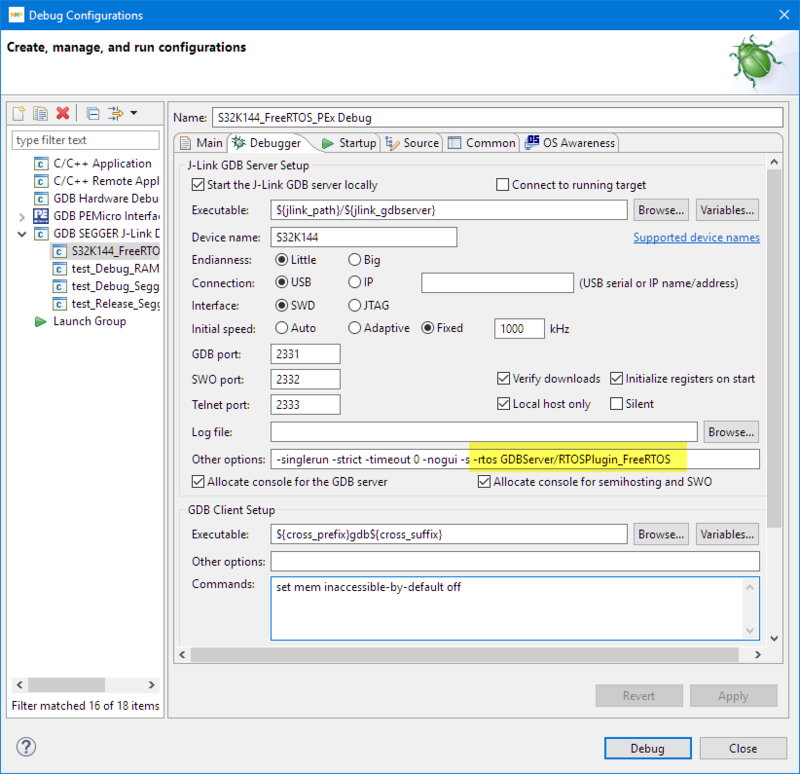 You only have to add -rtos GDBServer/RTOSPlugin_FreeRTOS to the debugger settings. I added the ‘-rtos …’ option, but I also had to upgrade my segger jlink directory before it would work. Thanks! Yes, the ‘rtos’ folder is missing in the original install. Or did you had to update the other Segger files too? I had the RTOS folder and the Segger Jlink directory already, and in the past the threads showed up in the debugger. Then they quit showing at some point (I may have installed MCUXpresso, or a KDS update, or S32, or something related). I re-added the ‘-rtos …’ option, but that didn’t fix it. I noticed that your version of the Jlink directory was newer than mine, so I installed the latest from Segger (which looks slighty newer than even yours). Then it started working again 🙂 . Is it possible to achieve the same, but using MQX instead of FreeRTOS? I would think so, but I’m not using MQX. But in any case you need a different set of plugins tailored for MQX. As I can see, there is no “RTOSPlugin_MQX.dll” in GDBServer directory. That plugin would come from SEGGER, so I think you would have to ask them to create such a plugin. I believe they made the speces open (would have to check), so you even could do it yourself if you want.